This is a study in posture. 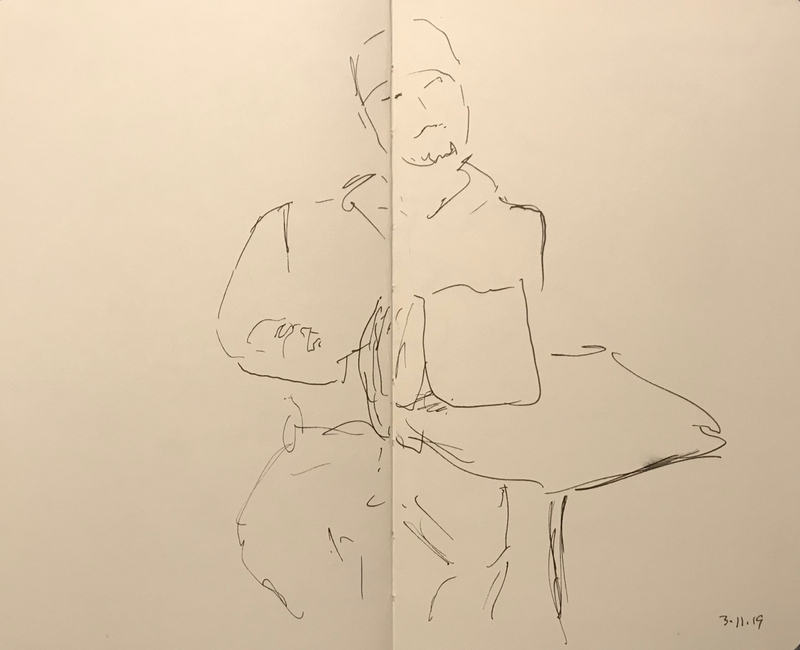 This entry was posted in Personal Stories and tagged art, artistic expression, creative process, creativity, drawing, pen and ink, pen and ink sketch, portrait, posture, posture study. Bookmark the permalink.